By Keely Herring on Wednesday, July 8th, 2015 at 10:08 a.m. In a key Senate vote to advance President Barack Obama’s trade agenda, Sen. Ted Cruz, R-Texas, cast an unexpected vote that indicates he may have backtracked on fast-track. On June 23, 2015, Cruz voted against Trade Promotion Authority, also known as TPA or fast-track authority, which has been debated in Congress amid efforts by the Obama administration to secure the pending Trans-Pacific Partnership trade deal with 11 other nations. The very same day as his no vote, Cruz published an op-ed to Breitbart explaining his decision. "TPA in this Congress has become enmeshed in corrupt Washington backroom dealings, along with serious concerns that it would open up the potential for sweeping changes in our laws that trade agreements do not typically include," he said. Cruz’s criticism of fast-track comes as a surprise, considering his public praise of the bill only two months prior. "We strongly urge our colleagues in Congress to vote for trade-promotion authority," Cruz stated, along with co-author Rep. Paul Ryan, R-Wis., in a Wall Street Journal op-ed on April 21. Given that Cruz is a GOP contender for president in the upcoming election, we decided to check how his position on fast-track registers in our Flip-O-Meter. It is important to note that we are not passing judgment on decisions to change positions. Rather, we are just determining whether he did. Trade Promotion Authority, called fast-track, has been enacted on and off since 1974. If passed, it has a life span of six years, and remains in place regardless of a presidential administration change. Fast-track grants the president freedom to present trade treaties for a straight up or down vote in Congress, freeing him or her from any amendments on trade deals. With negotiations on the Trans-Pacific Partnership in the works, fast-track was introduced for reauthorization on April 16, 2015, and set to a late May vote in the Senate. In anticipation of this vote, Cruz publicly urged Congress to vote in favor of fast-track authority. "Congress needs to strengthen the country’s bargaining position by establishing trade-promotion authority, also known as TPA, which is an arrangement between Congress and the president for negotiating and considering trade agreements. In short, TPA is what U.S. negotiators need to win a fair deal for the American worker," Cruz and Ryan said in their Wall Street Journal op-ed. Cruz and Ryan also pitched the passage as an important step toward helping the domestic workforce. "TPA is what U.S. negotiators need to win a fair deal for the American worker," they said. "One in five American jobs depends on trade, and that share is only going to grow." On May 22, Trade Promotion Authority passed the Senate 62-37 with bipartisan support. Cruz was among the 48 Republicans and 14 Democrats who voted "yes." Following the Senate passage, the bill went to the House where it was split into two separate votes: one on TPA and the other on Trade Adjustment Assistance, or TAA (a program that provides training support, career counseling, allowances, and wage supplements to workers affected by globalization and trade). On June 12, fast-track passed, but Trade Adjustment Assistance was voted down. This stalled and resulted in a motion to reconsider by Speaker Boehner. In a procedural vote on June 23, the Senate passed fast-track once again, 60-38. But this time Cruz cast a "nay" vote. The same day, Cruz published his op-ed in Breitbart, a conservative news site, attributing his change of heart on TPA to "two material changes" in the legislation. First, he wrote, was the WikiLeaks reveal in June 2015 of the Trade in Services Agreement, or TiSA, which is intended to extend trade in services (as opposed to goods) to address changes and advances in technology since the last major services agreement was implemented in 1995. It is a key part of the trade agenda under negotiations; services include finance, insurance, transportation, telecommunications and other fields. Cruz wrote: "Despite the administration’s public assurances that it was not negotiating on immigration, several chapters of the TiSA draft posted online explicitly contained potential changes in federal immigration law. TPA would cover TiSA, and therefore these changes would presumably be subject to fast-track." Second, he said, were supposed "secret deals between Republican leadership and Democrats." "After witnessing several senators huddle on the floor the day of the TPA vote (on June 23), I suspected that to get their votes on TPA, Republican leadership had promised supporters of the Export-Import Bank a vote to reauthorize the bank before it winds down," he said. "I cannot vote for TPA unless McConnell and Boehner both commit publicly to allow Ex-Im to expire -- and stay expired." Congress debated the reauthorization of the Export-Import Bank prior to its expiration on June 30, 2015, and it was a topic of disagreement among GOP members. We asked several international trade experts about Cruz’s claims of undisclosed information about additions to TPA as justification for his switch, and at a minimum, they are in dispute. Gary Hufbauer, an expert in international trade and senior fellow at the Peterson Institute for International Economics said, "Inclusion of TiSA under TPA was never a secret. Any immigration changes in TiSA will be limited to L visas (company transfers) and possibly H1-B visas, and be quite limited in number. So this excuse for the flip-flop has zero merit." Hal Shapiro, a lawyer specializing in international trade practice, said "the TiSA disclosures by WikiLeaks would be an unusual reason for deciding on TPA." Hufbauer speculated that Cruz may have changed his vote on TPA to placate his tea party constituents, many of whom are adamantly opposed to TPP. When asked about the reason for his shift in position, Cruz spokesman Rick Tyler told us, "Sen. Cruz remains a strong supporter of free trade and fast-track." 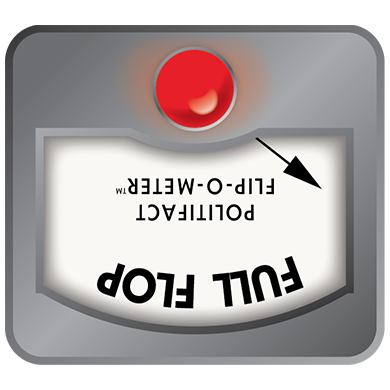 Politico and the Washington Post have also noted Cruz’s switch on trade. Cruz was a supporter and voted in favor of TPA or fast-track when it was first put to a vote in May. Only a month later, Cruz issued an op-ed denouncing the additions of Export-Import Bank reauthorization and immigration laws, and then voted in opposition. His change of stance is well documented, and we rate his change of position a Full Flop. Published: Wednesday, July 8th, 2015 at 10:08 a.m.
Office of the United States Trade Representative, "Overview of the Trans-Pacific Partnership." Wall Street Journal, "Putting Congress in Charge on Trade," April 21, 2015.